The legendary jockey Bill Hartack touched the lives of friends, colleagues, and fans through his incredible accomplishments on the racetrack and his passion for horse racing. With nine victories in Triple Crown Classic races, he earned a place in history and inspired the entire racing community with his determination and good will. 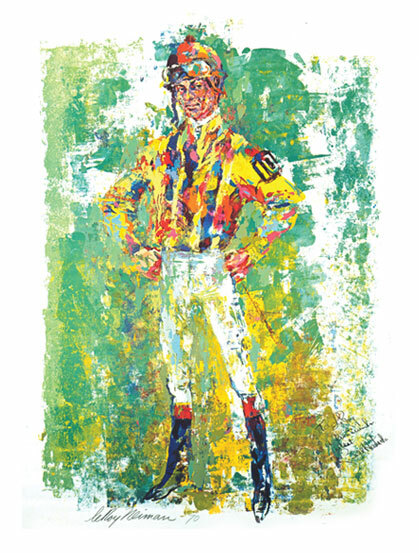 Shortly after he passed away in 2007, the Friends of Bill Hartack established The Bill Hartack Charitable Foundation which annually contributes to thoroughbred racing industry charities and recognizes the jockey who rides the Kentucky Derby winner each year with The Hartack Memorial Award. You are invited to a ceremony honoring the winners of the 2019 awards, Jockey Mike Smith (Hartack Award) and Trainer Bob Baffert (Neiman Award). The awards will be presented on April 9, 2019 at the Derby Restaurant in Arcadia, CA. Please RSVP to angie@meticulous.com. The Bill Hartack Charitable Foundation is a tax-exempt, nonprofit public charity corporation. All contributions are tax-deductible as allowed by law. Federal Tax ID No. 26-2914255.